If Lilo and Stitch have been an integral part of your childhood, chances are you would have dreamed of riding the waves and making a splash too. Fortunately, there’s no need to break the bank just to travel all the way to Hawaii when we’ve got our very own surfer’s paradise much closer to home than you’d expect! Surrounded by pristine beaches and the undisturbed ocean stretching beyond the horizon, Bali offers uninhibited freedom for surfing enthusiasts and thrill seekers alike. If accommodation has got you stumped, fret not as we’ve picked out some of the breathtaking resorts closest to the best Bali surf spots. There’s no denying the fact that Uluwatu is perhaps, home to one of the best Bali surf spots. Ever since the 1970s film Morning of the Earth, it’s only predictable that surfers from around the globe flock to this area to experience the legend themselves. 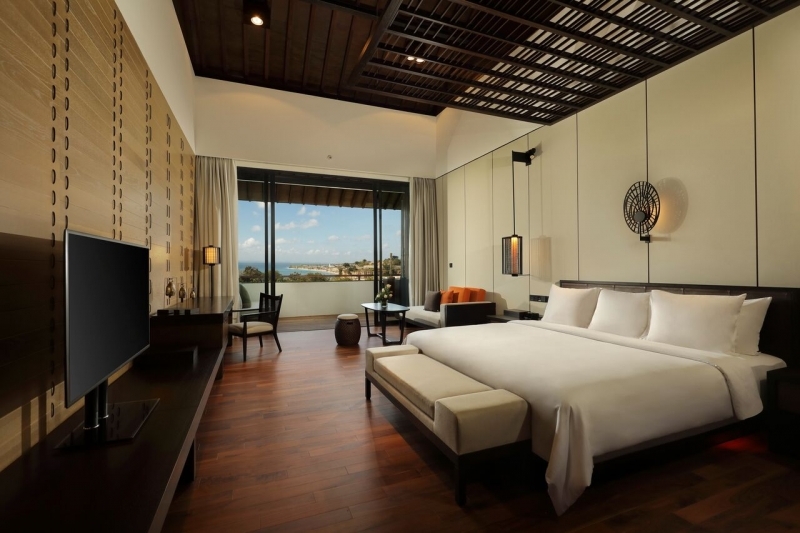 So trust us when we say Radisson Blu Bali Uluwatu has an edge over the rest – quite literally so. It’s perched on one of Bali’s most breathtaking cliffs, overlooking a world-class surf beach that eagerly beckons from below. With the clear water and wide beaches coupled with the sight of the Indian Ocean, you’d find yourself hard pressed to not want to immediately dive in upon checking into the hotel. Even when you’re taking a break from the waves, you can still enjoy the picturesque view as all rooms offer a view of the sea, gardens or both in full panorama. In fact, Radisson Blu Bali Uluwatu even has a bar dedicated to surf-inspired bites and thirst quenchers for you to indulge in as you gear up for another round of surfing. Feel ultra pampered as you don’t even have to take a step to get to the beach. Free shuttle buses are provided daily to chauffeur you back and forth Padang Padang beach. For those curious to check out some of the nearby attractions — such as Luhur Uluwatu Temple — the shuttle bus will bring you there where you can take in the view of the mesmerising ocean and sunset. 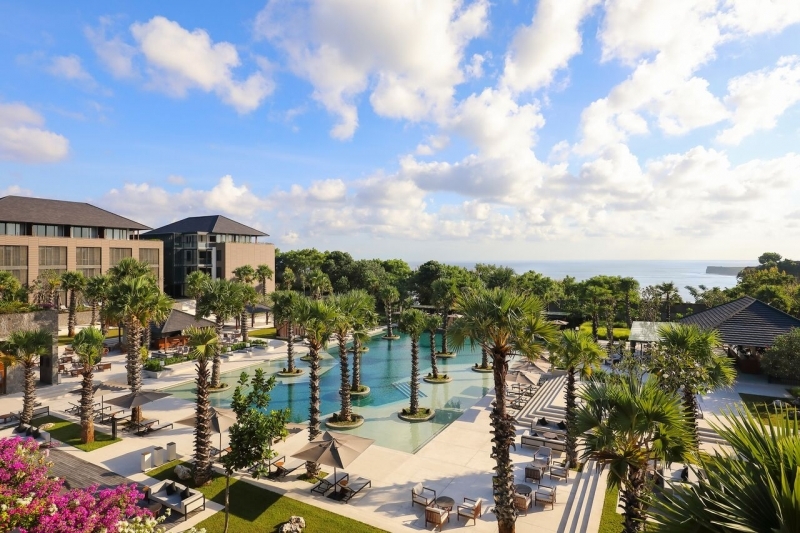 Read TripZillaSTAYS' review of Radisson Blu Bali Uluwatu here, or visit their website here ! Situated along the iconic Seminyak beach, The Legian Bali makes for the ideal destination for budding surfers. It’s conveniently sandwiched between the beach and town, making it a one-stop for all your needs. And when sunset comes, the splendid coast of gold sand found on the south-western shore gives off a regal vibe that makes you feel like royalty. Apart from the usual fanfare of ocean-view champagne bars and rejuvenating spas, if you’re lucky, you might even get to partake in turtle release organised by The Legian Bali too! Read TripZillaSTAYS' review of The Legian Bali here , or visit their website here ! 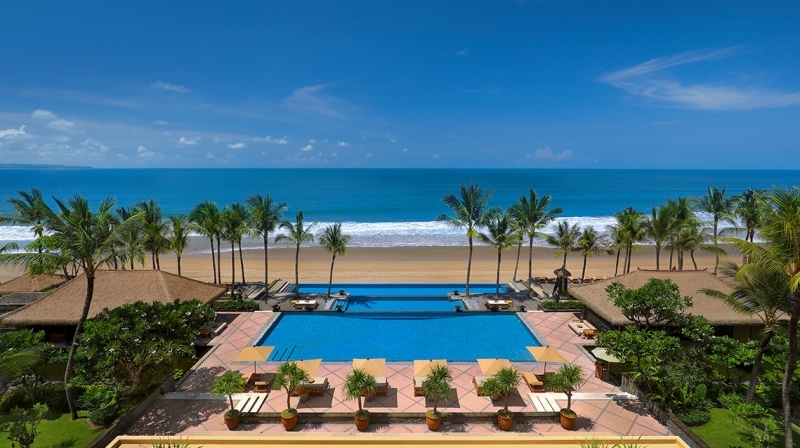 Just like The Legian Bali, Seminyak beach is right at the doorstep of W Bali Seminyak. Designed as an enclave, you can get everything you want and need with staff members ready to tend to you ‘round the clock. 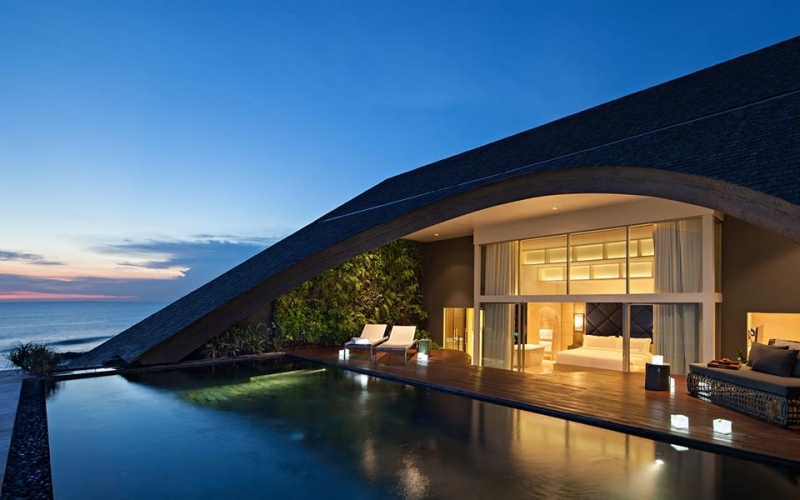 Read TripZillaSTAYS' review of The W Bali Seminyak here , or visit their website here ! For those new to surfing, Kuta beach offers gentle waves that make it the permanent favourite spot for beginners. As one of the top Bali surf spots, Kuta beach is lined with a couple of surf schools to enrol yourself into! Parents concerned about children’s safety while surfing can rest easy knowing that within the resort itself there are plenty of alternatives tailored just for them. Kids can zip down the ‘56-metre Caterpillar Splash” water slide and play free in the Kids Water Fun Zone for an ultimate day in the pool. 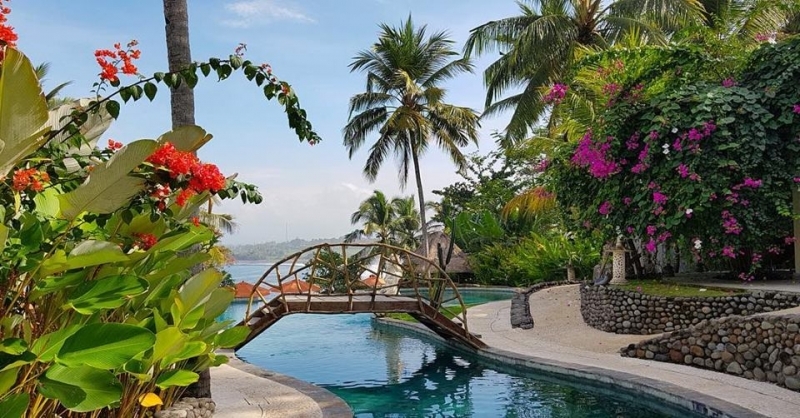 Read TripZillaSTAYS' review of Bali Dynasty Resort here , or visit their website here ! Better described as a beachfront eco-resort, Puri Dajuma looks over a less well-known surfing spot known as Medewi beach. It’s a quiet, black sand surfing haven. Puri Dajuma offers surfing lessons as part of their beach activities, with an in-house instructor ready to initiate you and your kids to the fun of surfing. Canggu is famous for its incredible beach breaks with intimidating wave heights only experienced surfers dare to challenge. COMO Uma Canggu in particular lets you experience the waves like never before with their “Surf and Stay” programme. This includes daily surf lessons per person at whichever skill level you’re most comfortable with. Located at Uluwatu too, Blue Point Bay Villas is only a few minutes away from a hidden gem — Suluban Beach. Despite its quiet location, the tides are rather big which makes for the ideal waves for veteran surfers. Surfers would also be glad to know that Blue Point Bay Villas offers special room rates especially for them too! 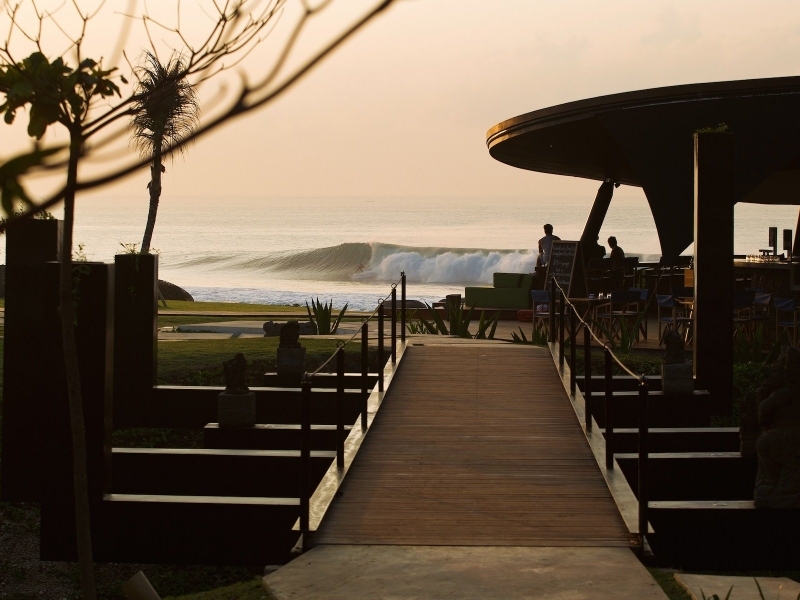 It's definitely worth including in your top Bali surf spots list. If you’re looking for something even more different, Komune Resort & Beach Club Bali offers a permanent night surfing installation right at the doorstep of the resort! You even get to book a slot to ensure that you can enjoy the powerful reef breaks without having to worry about the crowd. 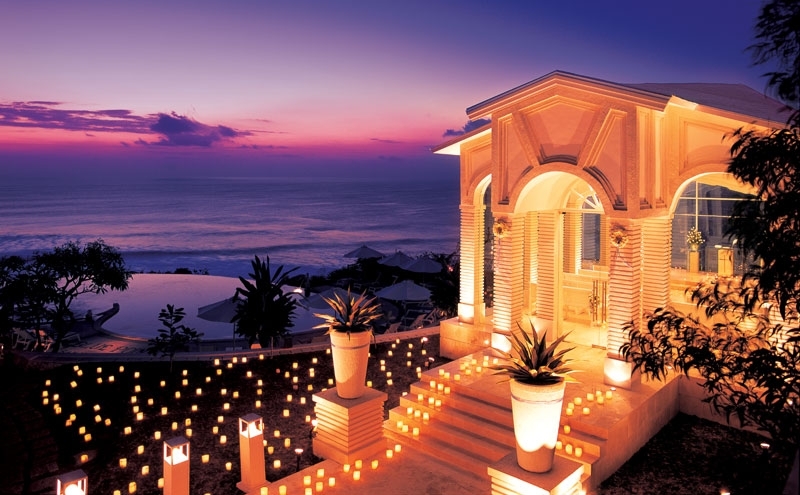 Did any of these surfer paradise resorts in Bali intrigue you? Check out more hotels in Indonesia on TripZillaSTAYS!